I am very honoured to have this blog post by two amazing young ladies, Deniz Aryay & Şehnaz Ceren Cessur, who are student tutors in the ELT Department of Yeditepe University. I was introduced to them by their outstanding professor, Ece Sevgi – and was delighted to meet them in person at the ISTEK ELT Conference in Istanbul, last April. Here, Deniz and Ceren write about the Writing Center they have in their university, an amazing programme! 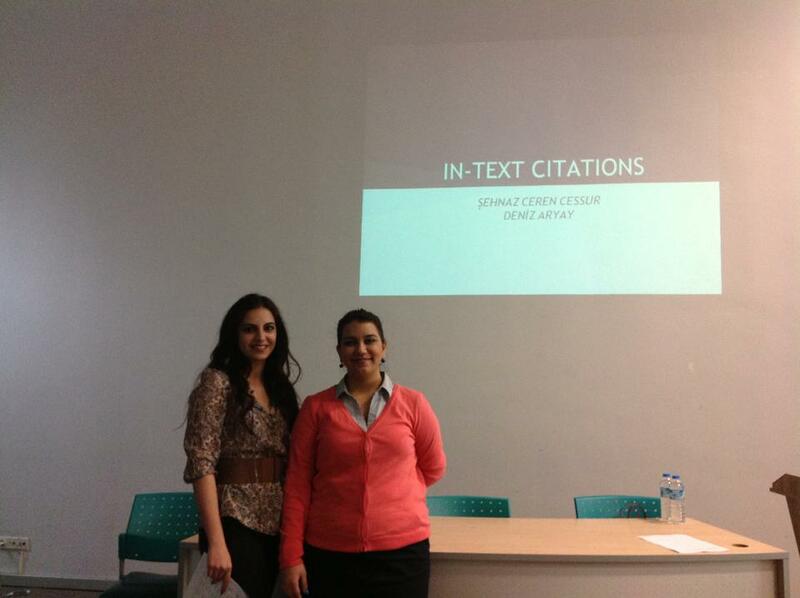 Over to Deniz and Ceren, who will surely become great educators. Yeditepe University in Istanbul is one of the most prestigious universities that tries its best to help its students prepare for their professional lives. It is an English-medium university. This has its own downsides and difficulties since some of the students enter the university with no or little knowledge of English. Even if they spend a few semesters in preparatory classes trying to master English as a foreign language, they may not become proficient enough to cope with the language level in their classes. This is the reason why some universities here in Turkey have followed the lead of their counterparts in other countries and established Writing Centers in the aim of fostering the students’ language ability in one of the productive skills, writing. Writing Center at Yeditepe University is a unit which helps students by editing their written work, giving feedback, and guiding them to correct their language mistakes. The use of error code, multiple drafts, and progress tracking system aims to develop learner autonomy and raise awareness about the points to consider in the students’ written work. Yeditepe University Writing Center does not only help students but also supports academicians at the university. It offers a free edit service to support and encourage academic publications in any field. It is the only unit at the university that organizes Creative Writing Contests. We now have a brand new website (http://writingcenter.yeditepe.edu.tr/) where you can find information about the Writing Center, and a wiki space (http://yuwritingcenter.wikispaces.com/) where we post written tutorials about academic writing. To us, having a Writing Center is more than a luxury; it is an essential unit at a university teaching in English in a non-English speaking community. While opening a Writing Center is not an original idea, Yeditepe University Writing Center has done something for the first time by allowing its students to become members of this family during the course of their studies. The Student-Tutor Program is a pioneer programme in this field, and has significant benefits for the chosen students. These selected student tutors, who are students of English Language Teaching, and Translation and Interpreting Studies Departments work voluntarily at the Writing Center Office to help prep and undergraduate students with their written assignments. They are chosen meticulously with a suggestion from their Academic Writing instructor, and then receive training on how to give written feedback before they start offering this service at the Writing Center. Under the supervision of experienced tutors working for the Writing Center, student tutors also prepare and present academic writing workshops for the university students and faculty. You can meet many of our student tutors at ELT conferences held in Istanbul. 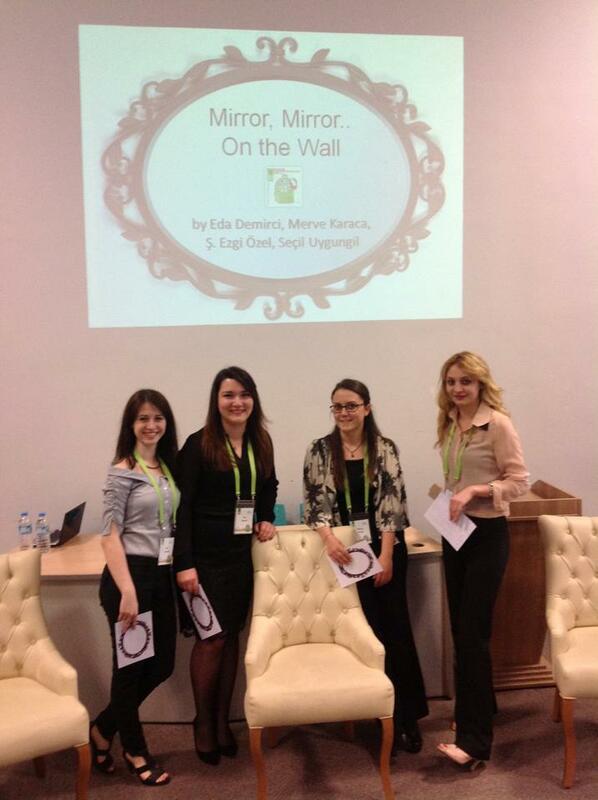 Four of our student tutors, for example, were concurrent keynote speakers at ISTEK ELT 2013 Conference with their talk Mirror Mirror on the Wall…, and shared the stage with Ken Wilson, Herbert Puchta, Teresa Doğuelli, and Jamie Keddie.